This snazzy dress-shirt has a Western cut and style to it. It does up with snaps, and has double-pointed breast pockets that do up with two snaps each. The inside of the collar is a slightly lighter pinky-purple shade than the rest of the shirt. This is most evident in close-ups. In Bloody Mary (1x05), Sam wears the Western Style Purplish Shirt when they meet Charley in the park and she informs them of the death of her friend. He continues to wear it while he and Dean research, but changes out of it before their research trip to Fort Wayne. 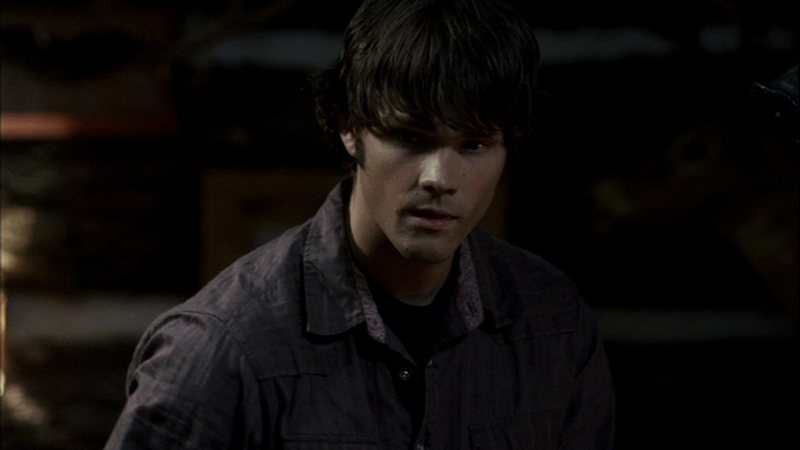 In Faith (1x12), Sam wears it at the end of the episode as he and Dean prepare to leave and Layla stops by. 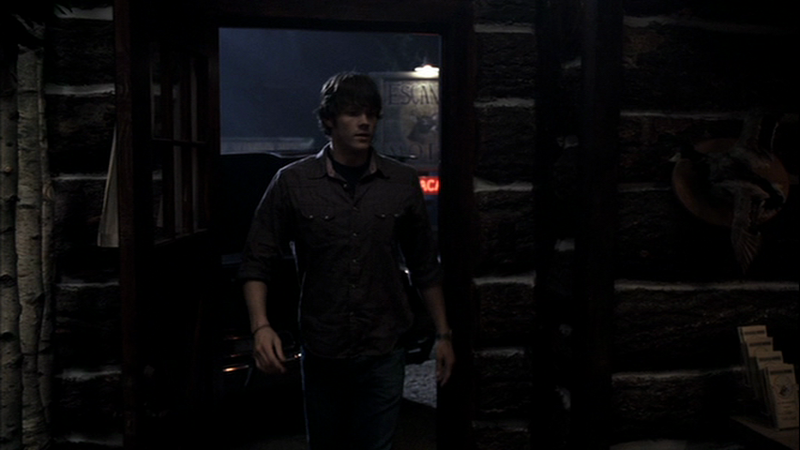 In Nightmare (1x14), Sam is wearing it during the final scene when he and Dean pack up and leave the motel. In Simon Said (2x05), Sam wears it from the beginning of the episode until he gets to Guthrie OK, where he changes into a suit. In Dream A Little Dream Of Me (3x10), Sam wears it from the beginning of the episode until they check out Bobby’s motel room and find his research.